So you only paint by numbers, or at least, you did back in high school! Well don’t worry, I have broken down how to paint a Dolly Face in to 3 easy steps. … but there are 4 videos you cry ….. yes, that’s because my naughty little doggies decided to start barking very loudly right in the middle of the last tutorial video!!! 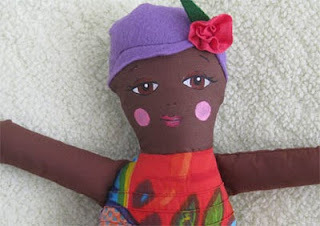 Simply trace your face on to your fabric and paint it in before you sew, or you can wait and paint your face after your doll is complete as I show you here. (This all depends on the setting instructions of your fabric paint). 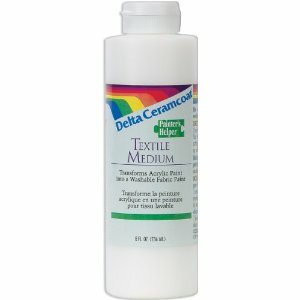 To make acrylic paint permanent add Textile Medium . 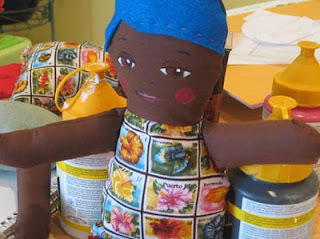 You can then hand wash your doll over and over again (I don’t recommend machine washing or tumble drying your dolls). How to sketch your Dolly Face. Now ….. Let’s start painting! Loooook into my eyes! And now for the mouth…. 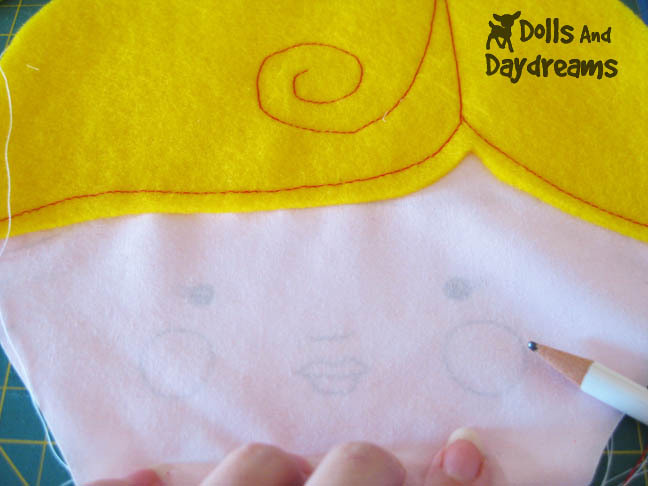 Now wait for your New Dolly Face to dry and gently rub off the pencil & admire your fabuluse work!!! I thought I would do a quick tutorial on how to paint a Girl Dolly’s lips as they are much fuller than the boys and could be a little tricky for someone just starting to paint.